As quick as it came it was gone again. 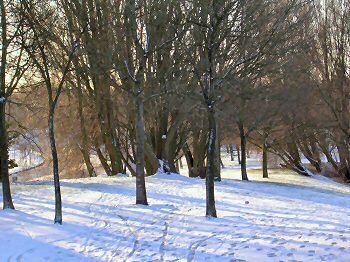 It snowed Wednesday evening, was white and pretty on Thursday morning, started to turn grey Thursday afternoon and began to melt away. Friday morning not much was left, Friday lunchtime it started to rain and by now it's almost all gone. 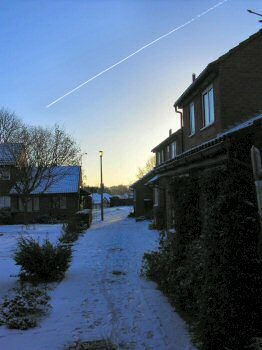 I took a few pictures on the way to work on Thursday, after all we don't have snow here in Swindon very often. 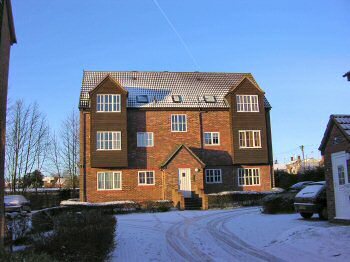 I can't really remember any snow last winter, the snow we had on Wednesday was the first (and quite possibly the last) snow we had in Swindon this winter. 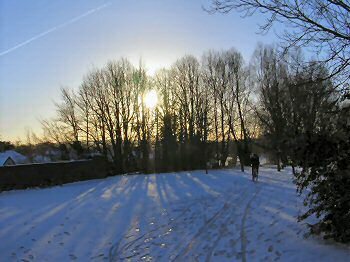 A few more impressions from the snow on my way to work below. The way follows the track a railway used to take through what is now a housing estate and then over an old railway bridge down a small hill before I reach the office. 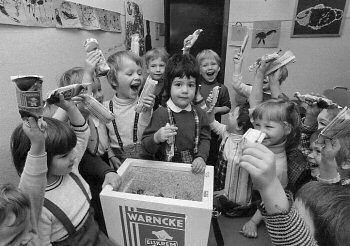 I'm not sure what the occasion was, but for some reason there was a photographer present when the icebox with lots of Warncke Eiskrem (does this brand still exist?) arrived at the Kindergarten. I'm the one in the light shirt with the wide open mouth on the left behind the icebox. I guess I did like the ice cream.